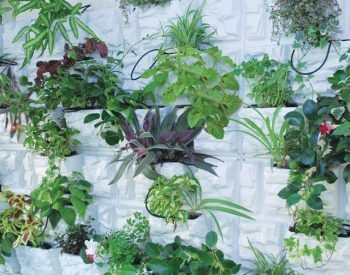 The VERTICAL GARDEN KIT makes it easy to install a feature wall of living plants – a great way to cover an unsightly surface and to get some green life into your environment! Includes 5 pots. We are now selling the updated design which has and overflow and reservoir system making watering much easier. 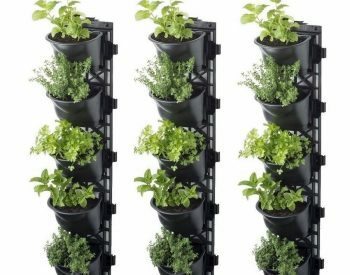 The VERTICAL WALL GARDEN KIT includes a single mounting frame with 5 separate potting cells each as well as fasteners for installation. Manufactured from 50% recycled material, the units are light and strong. The potting cells are designed with water reservoir and overflow features and are supplied with non-woven dirt mats. 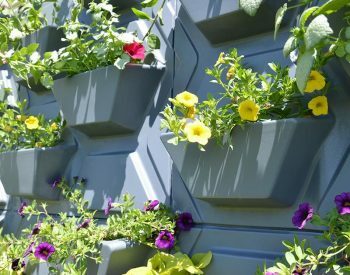 The VERTICAL GARDEN KIT can be mounted either vertically or horizontally allowing for a variety of options for installation patterns. 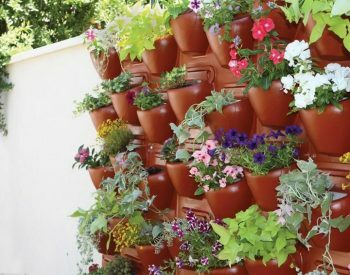 I looked at all the available options for wall gardens and this one stood out as a well designed system. When it arrived I was even more happy with the decision, its very well made and designed, the wall mounting is extremely solid and secure and very easy to attach to the soft stone walls of our house, everything was included also to mount it. As the description says each pot has a space in the bottom of it that stores water and if you overfill a pot this reservoir just overflows into the one below it, brilliant. Plus a mat sits above this area keeping the dirt out of it and allowing room for the water. 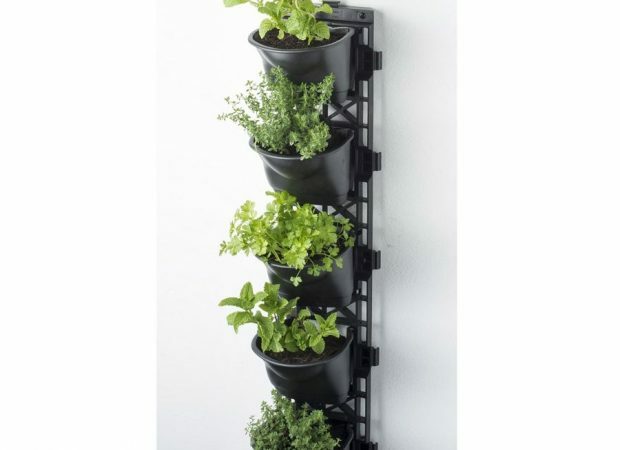 We are so happy with the unit we are going to buy some more soon and arrange them around a pillar in our patio to make a tower of plants, should look good. Seems like Landera has the best price in Aus as well.